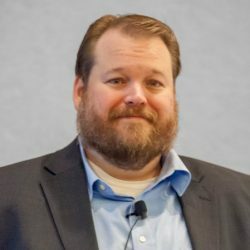 David Cowen has more than sixteen years of experience in the areas of security integration, architecture, assessment, programming, forensic analysis and investigations. He started out as a penetration tester then moved to digital forensics. Currently, he is a partner at G-C Partners, LLC, a full service digital forensics investigation company, and has experience working in a variety of environments ranging from high security military installations to large/small private sector companies. David is also one of the most passionate and active contributors within the cyber security and forensic communities. I look at David’s contributions and think he doesn’t sleep and/or someone in Dallas, TX there is cloning facility that has produced David Cowens versions 2 -5 which are all running around outputting awesome contributions to the community (yes, like the movie Multiplicity). He is also a two-time Forensic 4cast award winner for both Digital Forensic Article of the Year and Digital Forensic Blog of the year. When he is not doing all of this, he is also a family man and BBQ aficionado. Nope. Zero chance this is one person. In this interview we will discuss how he has accomplished all of this, why he loves being an expert witness, why he moved from pen tester to forensicator, his inspiration to start programming, his favorite type of investigation and the questions to ask, how to hire good talent, what it took to develop TriForce ANJP and how it was a community effort, how no one stands on their own in the industry, and much more. I hope you enjoy this discussion. Please leave your comments below!